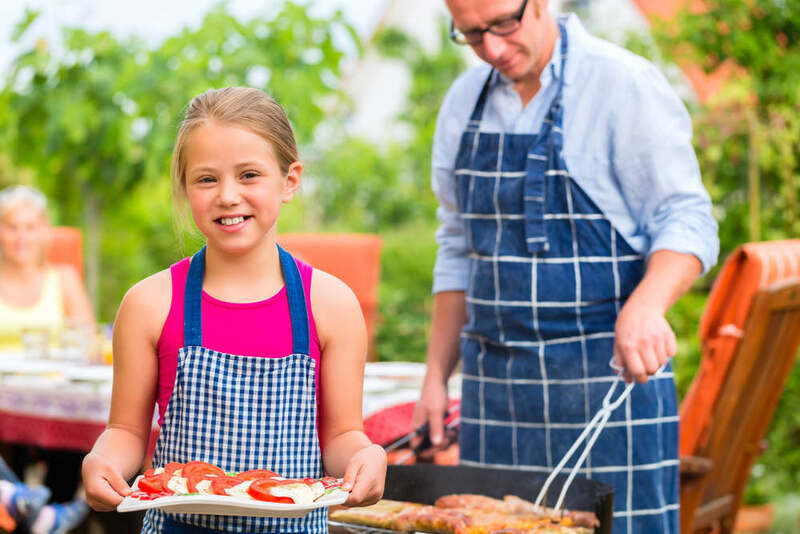 The combination of family, friends, fresh air, plus a load of smart food choices like seared steaks, seafood and fresh salads – makes a barbie one of the best occasions a Trimmer can have. 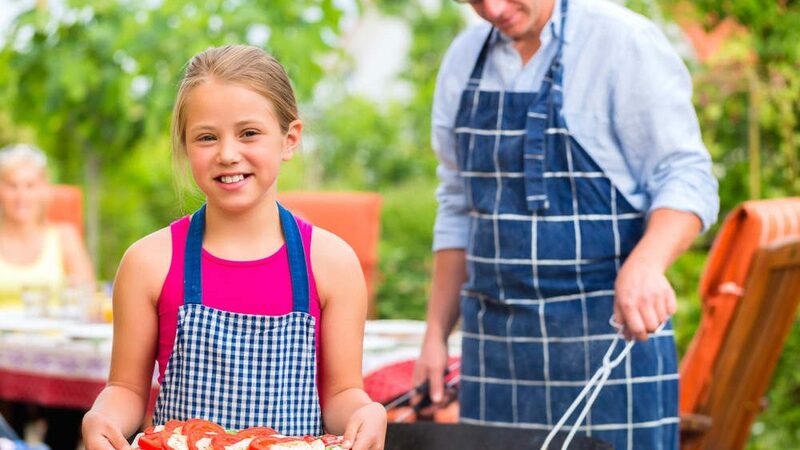 Of course – though a barbecue ticks a lot of boxes – no situation is perfect. So before you get grilling, check out this quick guide to choosing the best food options. Loads of calories, unhealthy fats and not a lot of nutritional value – where’s the upside? A recent Harvard study found that chips were at the top of the list of foods associated with weight gain. Opt for a few wholegrain crackers if possible. Watch out for dips that are high in sugar, high saturated fats and sodium. Enjoy salsas and tzatziki instead. A small amount of homemade guacamole is ok too. Try this fresh salsa recipe: finely chop 2-3 tomatoes, half a capsicum, half an onion, 1-2 chillies and a few sprigs of coriander. In a bowl mix the chopped veggies with the juice of 1-2 limes and a sprinkle of cumin, salt and pepper to taste. Fresh green salads, slabs of eggplant steak (just watch they don’t soak up too much oil), crudités, grilled mushroom cups, charred asparagus spears – a barbie is full of fresh and fab veggie options. For a quick and colourful favourite, prepare veggie skewers. Soak satay sticks in water. Chop your favourite veggies into 2-3cm chunks and skewer them on to the sticks – try zucchini, eggplant, cherry tomatoes and mushrooms. Baste with lemon juice, garlic and a dash of oil or a teriyaki soy marinade. Pop on the barbie, turning every few minutes until cooked. Go for the wholegrain or wholemeal options, these are typically higher in fibre, are more filling and contain more nutrients than the refined white alternatives. A slice of wholegrain bread, or small bun, or a serve of quinoa, brown rice or wholemeal pasta salad will help keep you feeling fuller for longer. Alternatively you could have some sweet potato wedges grilled on the barbie, corn on the cob or a serve of beetroot salad. Potatoes and pasta drenched in cream dressings are (obviously) not helpful choices when managing your weight. Store bought coleslaw is not much better – its rich dressing tends to be high in sugar. The good news: you can easily make your own healthy coleslaw. Shred a carrot and half a cabbage (mix red and green for extra colour). Toss with vinegar, oil and a dash of mustard. For a touch of creaminess, add a teaspoon of mayo or Greek yogurt to the dressing. The main event is the best part of the barbie. Make sure your meat choices are lean or at least remove the visible fat from the outside. Most options coming off the grill are great for Trimmers: beef steaks, salmon fillets, soy chicken breasts, lean sausages, prawns, scallops, lentil patties, tofu. If it’s lean, protein and barbecued, it’s good. Just remember to go easy on the T- sauce! While a glass of wine is fine, water is better. It will keep you cool and composed. Aim to drink at least a glass of water for every hour you spend at the barbie. Being outdoors and sharing a moment with great people is the point of the occasion. Yes, it’s important to remember the Trimmer tips and be mindful of what you eat, but its even more important not to stress. Simply take care, eat smart and enjoy yourself.